Sometimes school mornings make me wanna go…AHHH! I only have *one* preschooler right now, but I have a 2 year old and a baby that have to tag along for school drop off, and that can make for a flat out busy start to the day. One of my goals in the last couple years has been to show people that you don’t have to reach for the cereal box on busy school mornings. Boxed cereal (yes even organic ones!) are just plain toxic. There is barely any nourishment left after the grains are extruded. Kids need a lot of fuel after a whole night of sleep! If we expect them to function in school, we need to get them re-fueled for the day with more than just empty calories. This recipe is so quick that you can make them in the morning right before school if you wanted. They also hold up great if you wanted to make a double batch on the weekend and pull them out of the freezer during the week. 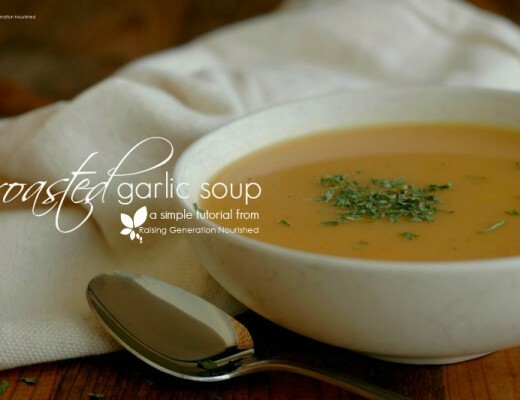 I am really so proud of this recipe – and so excited to share it! I have worked so hard on making a breakfast cookie that met all my requirements. Healthy fats, filling protein, energizing carbohyrdrates…yummy taste! I have a nephew with egg allergies so I am always looking for ways of making things egg free for when he is around, and we are gluten free so I always have that base covered. There is also no dairy or refined sugar (although they are plenty sweet from the banana and raisins!). If your family can’t have nuts or grains (and I know that is so common these days! ), I included options to swap just for you! 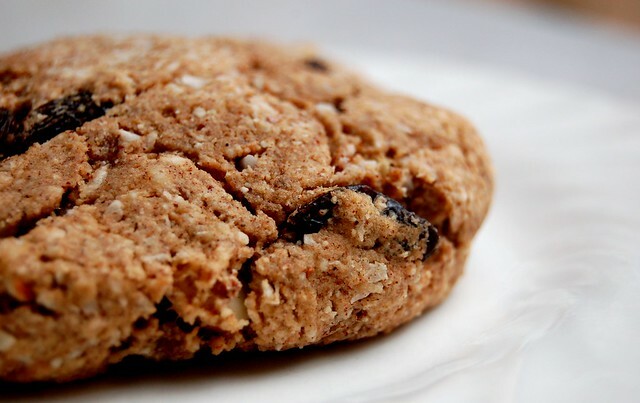 Breakfast cookies are great because your kids think they are getting a special treat, while you are also packing nutrition into their bodies. ½ cup peanut butter Or almond butter. If you are nut free use sunbutter – watch the ingredients though! 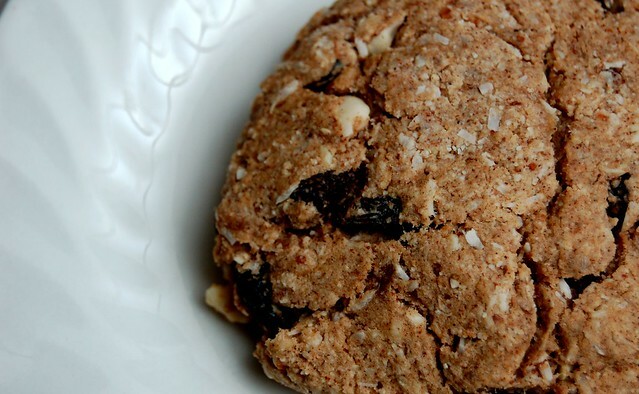 ½ cup dried fruit raisins, dried cranberries or other dried fruit – whatever you have! Everything into a mixing bowl and combine with a spatula – that’s it! Make palm size balls (size of about a racquetball) and flatten into 1 inch discs on to a silpat lined baking sheet (or parchment paper lined). They don’t flatten out so make them about the size you want. HERE is how to make crispy almonds! They are so yummy! Wrap leftover cookies in plastic wrap for another weekday breakfast or pack it up in a lunchbox! You can get coconut flour , tapioca flour , white rice flour , and shredded coconut on Amazon. Occasionally it is cheaper in the bulk section of my local health food store so I always check there first. I get large bags of organic raisins and large containers of natural peanut butter at Costco. If you have bananas going too ripe, but don’t have time to make the cookies right then, just throw them in a freezer bag in the freezer until you have time! If you don’t have silpat for baking on…oh! You must treat yourself to making your baking adventures so much easier! 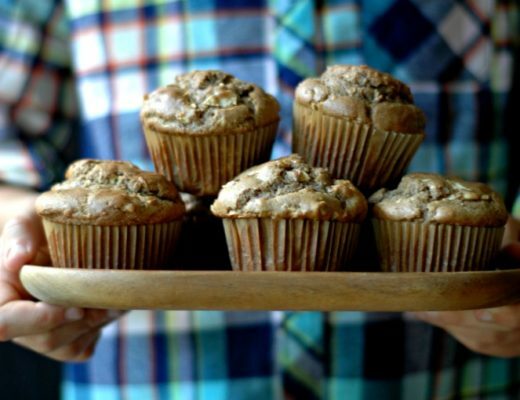 Be sure your baking powder says aluminum free – we don’t need to be pumping aluminum in our kiddos! So tell me how the kids like the cookies if you try them out! Do you suppose coconut butter would work in place of the peanut/almond/sunbutter? This looks soooo fabulous!! Gosh Allison that is a great question! Coconut butter is a little more dense than a nut butter – if I were to do it I would add some coconut oil to the coconut butter to make it “feel” like the consistancy of a nut butter. Does that make sense? Let me know if you try it! That is a great idea and I will add your comment to the this post! HI Isa! Tapioca flour really helps with texture making things chewy and soft and since it is not a grain it is used a lot in recipes for those with allergies! BUT – that doesn’t help if you have a tapioca sensitiity does it! Well let’s see here…so we need to sub the 1/4 cup tapioca and 1/4 cup rice flour without using almond flour or a grain flour. I’m thinking coconut flour is the only option there. The texture isn’t going to be the same but your LO is probably used to it 🙂 I wouldn’t sub the whole 1/4 cup for each of those flours though – lets do 1/4 cup coconut flour to take care of both the tapioca and the rice flour and then you might need to add another banana or some applesauce to help with moisture and binding – I really think that should work. I was grain and nut free for a while too so I’m thinking that should work 🙂 Let me know if you try it out! And thank you for the kind words 🙂 Glad to have you here! Hello, I just wanted to let you know that I tried using coconut flour and homemade sun butter… they were a hit! And, yes, the texture was different, but they didn’t crumble at all (and that is winner in my book for an eggless and coconut flour cookie!). I used apple sauce and I was out of cinnamon and baking powder so I omitted those, I only had just a few raisings (less than 6 to be exact), and it all worked out really good… they were not too sweet, almost a bit “tangy’ from the applesauce, but we LOVED them!! THANK YOU! Isa! That absolutely makes my day! Thank you for coming back to let me know! corn starch is a great substitute for tapioca starch with exactly the same result! another good substitute would be potato flakes (not butter flavored). I have had good luck with both of these items if I happen to run out and need to pinch hit with something else. I measure them 1-1 using the same amounts. I hope you find that it works well for you too. Arrowroot flour is a substitute for tapioca flour and corn starch. All 3 are thickeners that are interchangeable in baked goods. Made the cookies tonight and then realized they don’t have much fat in them, plus I would really like some eggs. I know you made this especially without eggs, but I’d really like to add some protein and fat. Have any suggestions on amounts for butter/coconut oil and eggs? Hi Sherri! 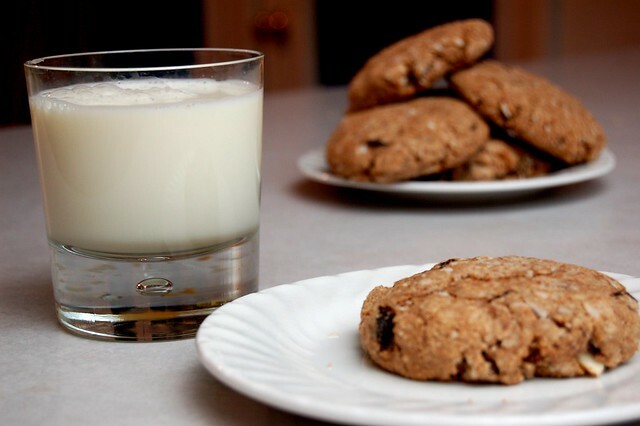 Yeah I don’t usually serve the cookies without a big glass of raw milk for some fat/protien. The peanut butter/nuts give it some. You could do a couple things. Either take out the 2-3 bananas and add 2-3 eggs (you will want to add some raw honey or something to sweeten it up though). Or you could add a 2-3 eggs and another 1/4 cup or so of coconut flour to soak them up. Let me know how they turn out! Any good substitutes you can think of for the flaked coconut? Or could I just leave it out all together? Thanks! Hi Stacey! I have so been there! Thanks for asking – yes let’s figure out a better concoction for you! If all you need to replace is the coconut stuff then I would replace the coconut flour with 1/2 cup of either rice flour, almond flour, or tapioca flour – do any of those work? And as far as the coconut flakes just leave them out and the mixture should still be fine – if it feels a little wet then add a bit more flour. Flax seed meal might work if you want to try that to replace and if you can have it. Let me know if that helps? Im thinking arrowroot flour might work as a replacement, if your diet allows it. Thank you so much for this recipe! We are finishing an elimination diet to see what we can and cannot have. We are currently gluten free, egg free, oat free and partial nut free. I just cooked these today and it is the first cookie/bread item we have had in almost 3 months. It was amazingly simple and the directions were so easy to follow. We can’t eat almonds, so we used cashews and cashew butter. And we used dried figs as our dried fruit. The cookies turned out great and were delicious! Hi Clare! That absolutely makes my day! Thank you for letting me know! I very much understand how all of that goes! This looks amazing, and so healthy. This would be a nice change for breakfast. Thank you sooooo sooo much for this recipe! My boys get so sad when all their school friends bring cookies.. So I will give these to them.. the only thing is they were falling a part quite a bit.. any thoughts on how to help them hold up a bit more so they can transport to schooL? This looks like a healthy alternative to the cookies I sometimes eat for breakfast! 😉 But I was wondering since there are no allergies in my household if I could substitute regular or whole wheat flour for the three varieties you list in your recipe? Hi Jennifer! Yep that should work – you may need a little more since the coconut flour is pretty absorbent – the dough should be just like cookie dough – not too dry and not to wet. Hope that helps! I made the Ultimate Breakfast Cookie that you posted. I substituted the tapioca flour and white rice flour with extra almond flour and coconut flour since I didn’t have either the tapioca or white rice flour. I also didn’t add the dried fruit because my husband is a diabetic and I wanted something that didn’t have much sugar. I added 1 cup of unsweetened apple sauce instead of the bananas, also added 1/4 cup honey to give it a little sweeter taste. I was wondering if there is a website that I can go to that would tell the nutritional information for these cookies. Calories, protein, carbs, etc. Thanks! Not sure if you ever found an answer for this but for me, I use MyFitnessPal to track nutritional information for stuff like this. In case you were wondering, these cookies have 260 calories, 14.7g of fat, 0 cholesterol, 12mg of sodium, 332.3g of potassium, 18.2g of carbs, 4.9g of fiber, 5.7g of protein, and 1.4g of sugar. They’re also a source of calcium with 13.4% of daily value and iron with 9.7g% of daily value. I’m currently on a gluten-free, dairy-free, super low sugar diet and these are awesome! Whoops, meant 332.3mg of potassium. Er, each. Darn, I wish these posts had an edit button. Cookies for breakfast, yes please! This recipe sounds great! I’m really into Tiger Nut flour lately. This will work great! Thanks for the lovely recipe! 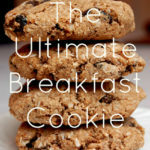 We make completely different breakfast cookies, can’t wait to try these as well. Will update you on how they come out! What a convenient and time saving idea! Love it. These look fabulous–I think my kids would love them! Thanks for posting! These are so good. It’s an awesome breakfast on the go! Nice! I didn’t know that! These look amazing and super healthy! I’ll have to save these for when I add grains back into my diet. Made these today. I added chia seeds and goji berries. Turned out great. Thanks for a great recipe! Hey Jamie! That’s great – thanks for coming by to let me know! Hi! First of all, thank you for being so willing to work with the people that have sensitivities and need to sub for other thing – reading you try and help these people made me more excited to follow your blog. Secondly, thought maybe you could help me too – ok so I was thinking of doing this since we don’t do rice flour and also dont do bananas or applesauce. Can I Use 3 eggs instead of the 2-3 bananas/applesauce and then sub the 1/4 c rice flour for another 1/4c of coconut flour and add a bit of honey to sweeten this? Would this work or would a total of 1/2 a cup of coconut flour with 2-3 eggs make this all go wrong? Does this make sense? Hi Claudia 🙂 The eggs will sub good for the fruit so yes that should be fine and then using the honey to sweeten is fine too. I would be careful adding anymore coconut flour as it is not an equal swap with any other flour – it is just too absorbent. You could sub a couple TB instead of the full 1/4 cup though if you want to try that. Or if you do the full 1/4 cup you will need more liquid like another egg or 2. Does that help? This looks great! 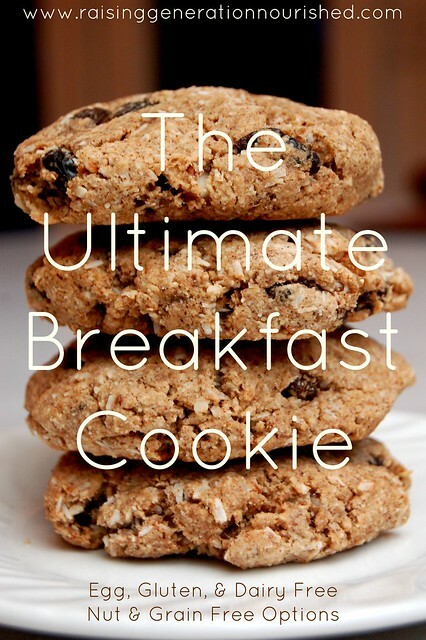 I’ve always loved the idea of breakfast cookies. When we used to do breakfast potlucks at work I brought them. Yours look fabulous. Can’t wait to try the recipe. I’m convinced that the term “amazeballs” was coined for these very cookies. Just baking my 2nd batch in 4 days. Thanks for the awesome recipe. I love that you can sub things out as it makes it very easy to make with what you have on hand! The other day I used almond meal in place of the rice flour and then I found some hazelnut meal which I used today. My kids think they’re getting a treat and I love having one with coffee so the fact that they are HEALTHY is just phenomenal! These look so nice and yummy! Since my family and me are very lucky and able to eat everything (so far, hope it lasts) and I’m always trying to keep things simple and easy could I just swap all the different kinds of flours for all purpose flour and whole wheat flour? Would that work? Hi Birthe 🙂 I’m not sure how the measurements would go with all purpose or WW since I don’t work with them much. I do have purpose in using the coconut flour since it has a good amount of fiber and other nutrients – I think you could get away with using all purpose for the rice flour and tapioca flour and then maybe leave the coconut flour in! I’m so excited to make these!! We’re currently egg, dairy, and peanut free which is really tough with a 3 1/2 year old, 18 month old, and a pregnant mama (oh yeah, and an awesome dad). My company makes an Ultimate Breakfast Cookie which is full of everything that we can’t have, but this looks like the flavors will be very similar. Thank you!! Great Kait! I hope you enjoy them! Hi. First of all thank you so much for this recipe, it looks great and also for taking the time to help those of us who have to substitute some of the ingredients. I have just being diagnosed with gluten sensitivity and have had to come off most sugars, dairy, tapioca, and oats for some time. Would you be able to to help me substitute the 1/4 tapioca flour with something that is not coconut flour? As it already has coconut flour I meant, something else that could substitute the 1/4 of tapioca? Hi Natasha 🙂 Potato flour or corn starch would have the same texture effect of the tapioca flour. If you can do nuts you can add some almond flour instead of the tapioca as well. I hope that helps! What can I substitute for shredded coconut? 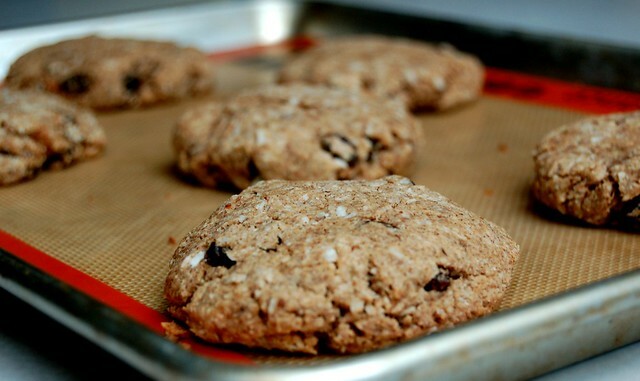 The cookies look very nourishing and would like to make these for my 5yr old son. I made the N’otmeal cookies from Against All Grain and he did not like them and said they are very chewy and fibrous (I didn’t tell him its the coconut thats making them chewy)! Hi Swarna! Maybe ground flax seed? I’m not sure! I will mention the cookies don’t have a chewy or fibrous texture – it really does feel like a cookie so if you have the coconut around you could try it and see! My daughter just made these cookies this morning. She used almond flour and applesauce (instead of rice flour & bananas), also added dates & raisins. I love, love these cookies, can’t stop eating them. These are perfect for breakfast. Thanks so much and Blessings! Do these need to be refrigerated? I’m looking for healthy cookies that I can put into a cookie jar on the counter….at least ones that will last a few days at room temperature. Thanks in advance! They look tasty! Hi Hope! A few days at room temperature will be fine for these cookies! Fun idea 🙂 I would refrigerate after 5 days. Honestly I thought this would be a little icky and that I’d have to choke it down. I was so wrong! These are fantastic! Glad to see comments about using apples. I might mash various fruits to see what I come up with. This is awesome! I’m glad you enjoyed them Karen! HI! Love your blog and love your recipes! I notice that a lot of recipes call for tapioca flour. I’m not too familiar with tapioca starch. In the “real food” world, would it be considered a healthy type of food? Any ideas on what to replace it with other than almond flour (we probably wouldn’t do rice flour either, so I would sub that with almond flour). I could give tapioca a try. Just curious what your thoughts are. Thanks so much!! I was just looking for a breakfast cookie recipe for my husband. This comes perfect. Thank you !